During our visit with Dad in June, a tune kept running thru my head. I couldn’t quite make out the words or recall all the music. The song reminds me that time was slipping away. 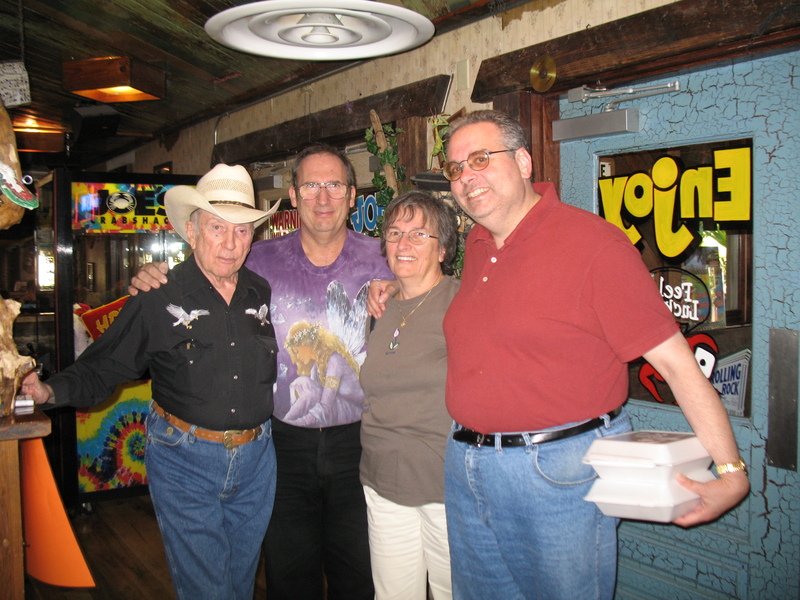 For several years, my husband and I have flown to Vegas to celebrate Father’s Day at Joe’s Crab Shack with my Dad (Joseph H. Fiet III) and my brother, Hank. Dad’s 91, and I’m not sure how many more Father’s Days we’ll have together. His health hasn’t been good. Dad’s been in and out of the hospital for several months. But he looks forward to this outing. Inside this laid-back restaurant, we bypass the T-shirts that state “Bite me” or look like leftovers from a Jerry Garcia paintball war and head to our table. We’re ready to dive into their shrimp. The wait-staff is rocking out to a tune that blares thru the speakers. Their dancing and singing is all part of the atmosphere. Minutes later, our table is overflowing with popcorn shrimp, coconut shrimp, shrimp scampi and Louisiana-style bayou shrimp. Conversation flows as smoothly as the drinks. Dad doesn’t finish his beer, but he obviously had a great time and so did we. Shortly after we return to Florida, Dad has a minor stroke and goes back to the hospital. Each time Hank calls, I hesitate before I answer. I suspect the news will not be good. Some days, it is. Others, not. On July 6th, the news we’d been dreading finally comes. Hank was with Dad at the hospital shortly before Dad died. It seemed as if Dad rallied for our visit and, again, for Hank to be with him. Dad’s gift to us: precious time. There is never enough time when it comes to those you want to be with. Still, I am grateful for what we were able to share. I told my eldest daughter, Danielle, that, when Hank called, a repairman was in the garage working on our hot-water heater. She said the repairman probably wondered why I was crying. Dad would have loved that. Thank you so much for your comments. Your feedback means a lot. Beautifully put – we also cherish those precious times with family. We had many great memories and even more fun times shared together. He especially appreciated the letters you all wrote.